Kinetico Sulfur Remover – Elgin Pure Water Inc. Eliminate the rotten-egg odor caused by hydrogen sulfide gas in your water with these electric, single-tank systems. Fully programmable control valve can be set up using handheld devices such as smartphones and tablets, via local Bluetooth® connection. 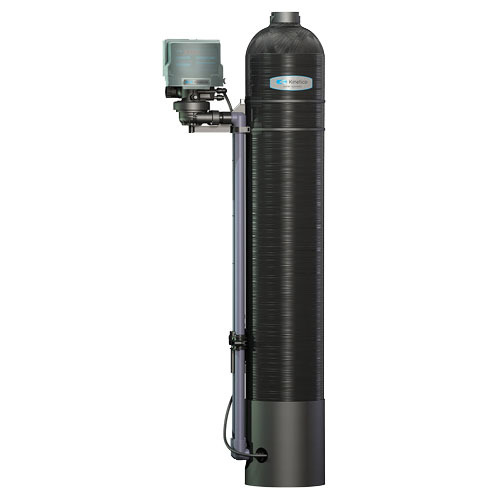 Two available tank sizes and two unique media blends provide flexibility for installation. Industry-exclusive features include external air injection to extend valve life, independently programmable air draw and backwash cycles to save water, and Macrolite® RX iron filtration media. Tough on problem water but easy on the budget, Powerline PRO Series filters are the perfect choice for efficient iron and sulfur removal.